(Originally Published on Dazed Digital). 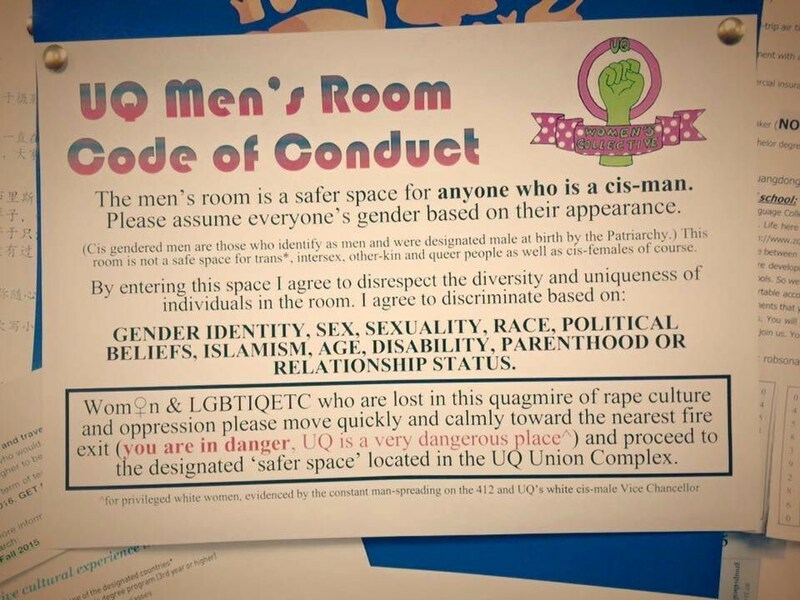 Soon after the “Women’s Room” sign hit Reddit and a few UQ-related Facebook groups, a backlash from a large number of students (and ex-students) gained momentum. Soon enough, a satirical sign started appearing around campus in response to the original. The acknowledgement and accommodation of all genders is something Australian universities are under increasing pressure to make a reality. As universities make the slow move to install gender neutral bathrooms and provide students with the option to select gender neutral titles, an issue of growing debate is when and how cis males can look to support gender equality among transgender, non-binary and women-only groups and whether or not they get to have a say at all. Amy Jelacic is the UQ Union Women’s Collective President and one of the Gender and Sexuality Vice Presidents at The University of Queensland. We spoke to her about the Women’s Collective, what kind of backlash she got once the Reddit thread went live, and why it’s all such a big deal. 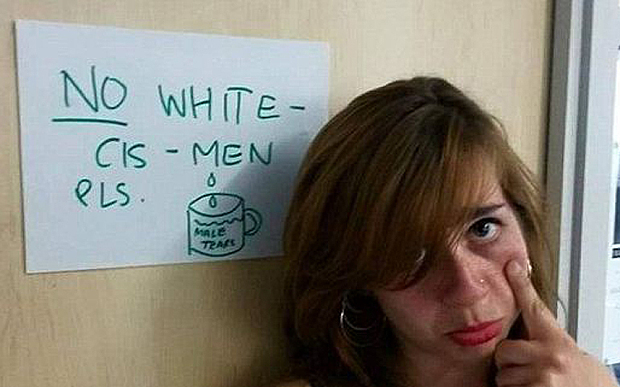 Jelacic saw the “Men’s Room” poster response and wasn’t bothered by it, describing it as “pretty good satire” because a wide selection of groups believed it to be targeted at them. She is unmoved by criticism though – Women’s Collective is, and must remain, a women’s only group. A more extreme case involving the cis-male’s contribution to discussions of gender equality occurred earlier this year in the UK. Bahar Mustafa, the student union Welfare and Diversity Officer at Goldsmiths University of London, was embroiled in a brief media storm after a series of controversial social media posts. Mustafa initially got into trouble for a Facebook post advertising a BME (black and minority ethnic) women and non-binary only event to discuss diversifying the curriculum. Six days after the status promoting the BME women and non-binary people only event, Mustafa posted a photo on Facebook addressing the criticism that her previous post received from Goldsmiths students and beyond. Mustafa’s activity was quickly covered by a local student newspaper called The Tab before finding its way into national newspapers. As well as a series of online petitions which called for Mustafa’s resignation gaining tens of thousands of signatures, Mustafa also became the subject of a police investigation after allegedly tweeting “kill all white men”. Despite widespread criticism, Mustafa remains in her post. She is defiant about her stance, declaring it impossible to be racist as an ethnic minority woman. 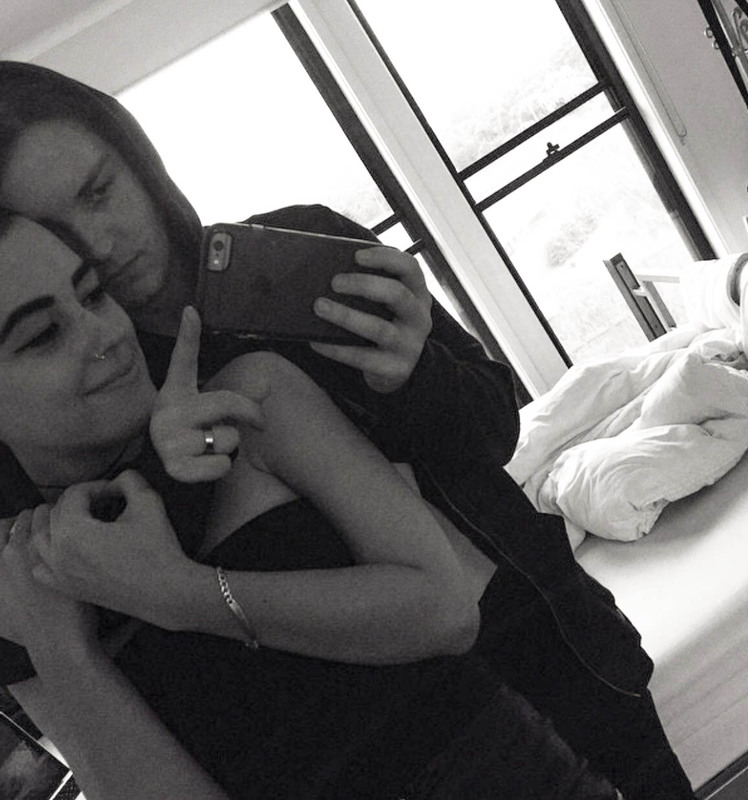 19-year old Sophia, who identifies as queer and her partner James, who identifies as trans, are both passionate about gender equality and acceptance. Sophia is hugely active and diligently vocal on social media regarding issues around transphobia and transphobic terms. Although Sophia does not currently study at university, both her and her partner expressed a keen interest in sharing their views and experiences with us around gender equality. However, James’ severe anxiety unfortunately made it impossible for us to speak. The rejection of cis-men from minority gender groups is in no way the biggest issue in the fight for gender equality and acknowledgement right now. Not even close. However, it is an area where a huge amount of aggression and miscommunication can be eradicated. Patience and basic observation is all it takes to see a like minded unity as opposed to some “offensive gang” that you’re being excluded from. So guys. 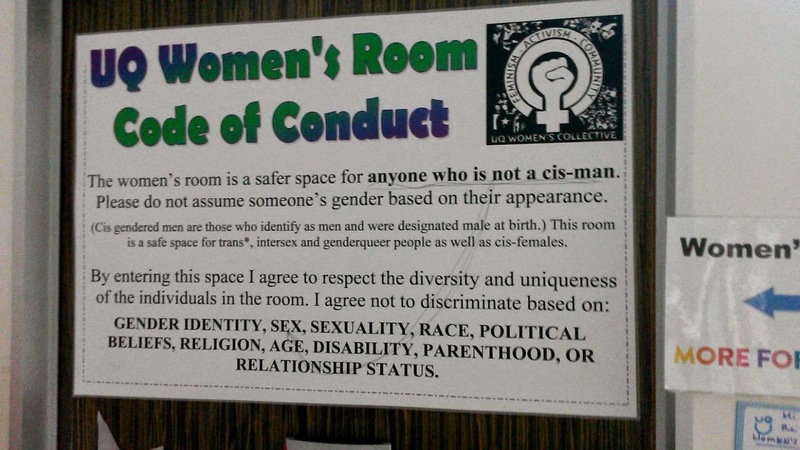 If you’re around campus or out in the big bad world and you want to do more to support gender equality, don’t envision a non-binary or women only group as if they’re sat in a dark room burning model dicks. Nothing is stopping you from creating your own groups and joining the fight for gender equality that way. Yes it is going to sting a bit lads, when we don’t get the invite, but it’s about time we realise our undesired contribution to these groups is not conducive to our ability to support the rights of those who want to see change. It’s not about us. Originally Published on Dazed Digital.